Materials: Cotton Mix or 100% Camira Wool fabrics in selected colours on a solid two part frame. Contact us for fabric options or to view samples. 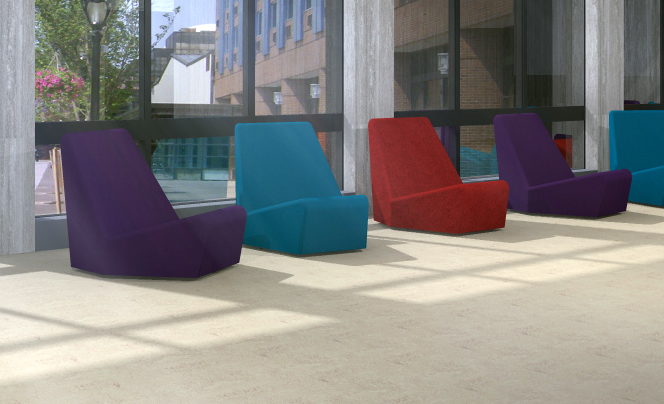 Duo is a soft furniture concept based on two components in each piece which can be covered in different fabrics or colours. Available in single, double and triple seaters with ottoman and chaise. 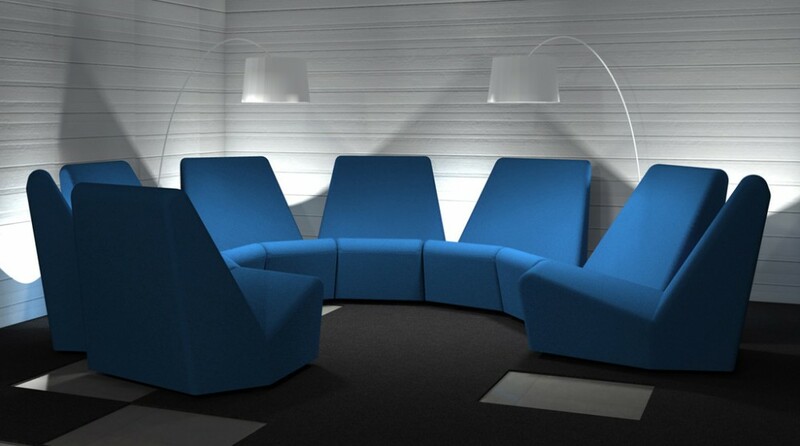 Duo can be grouped to form convex or concave formations and is perfect for office foyers or informal meeting areas. 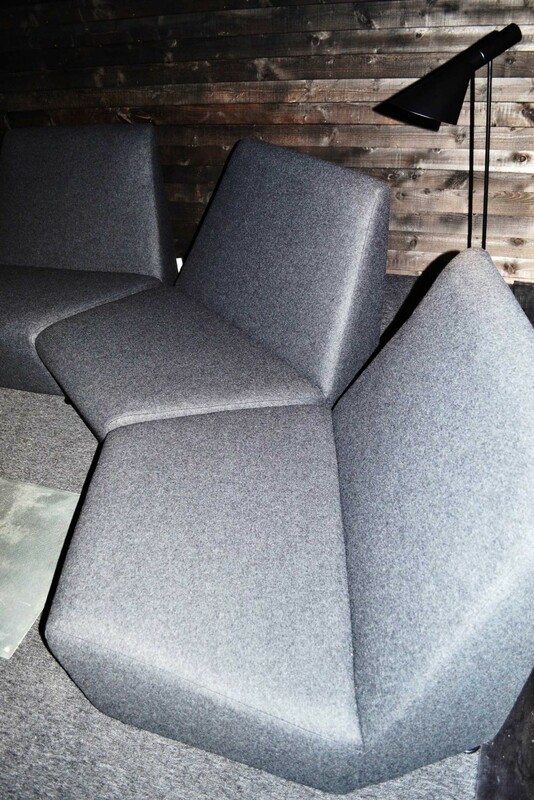 For example in 2013 Wayra, Dublin designed by Synnott Design featured 5 Duo easy chairs in graphite grey wool for an informal meeting / chill out area within the general office space. Check out the Hiberform web site for more information.